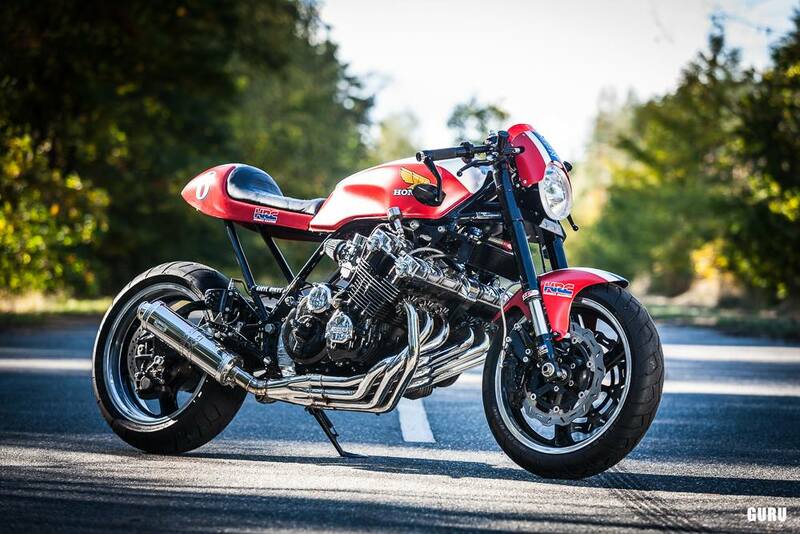 Honda CBX1000 is one of the most iconic motorcycles of all times. 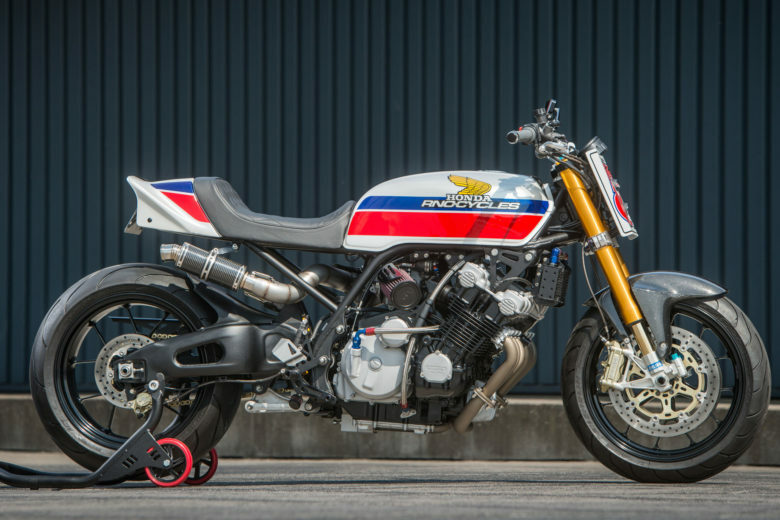 It was a result of a historically brief battle of displacements and engine building philosophy, that was aimed to test the limits of sports bikes segment… and it failed miserably. The battle was between 3 players: Benelli and their Sei model (offered as 750 and 900 ccs), Honda with 1-litre CBX and Kawasaki Z1300. Benelli was expensive… outdated when it was released – and couldn’t compete with the bigger and better Japanese competition. It is now the rarest of all. 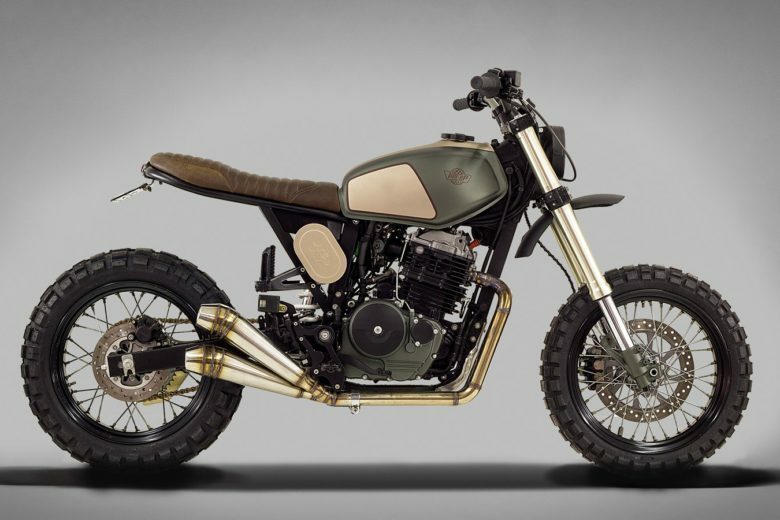 Honda built an air-cooled good looking bike inspired by their own and a very successful CB series. But besides this big engine and looks – it was a mediocre machine in handling and performance areas. Plus it was super expensive and hard to maintain (to adjust the valve clearances – You need to take out the engine, sync of 6 carbs). Kawasaki went “full commando”. They brought the most sophisticated player to the table – liquid cooled 1300ccs machine, that was handling very good. What they lacked – was the design. You could see that this motorcycle was a demo for them. After discovering that this is not and never will be a sports bike – they rebranded it into a touring machine. You can read more history about Kawasaki Z1300 here. All three – didn’t make much market career. It turned out that six cylinders don’t make much sense. And we’re only left as some examples of “we can do it” philosophy – built by exotic brands like Horex, Motus or… BMW (they are still selling it). However, what we got now – are three different and super rare cult classics. Let’s go to the inspirational part… This list (unintentionally) was created starting from retro, clean and straightforward, ending up with pure craziness. Pure retro style. Stock wheels, and suspension. It is composed of a black paint job and chrome / polished details with a clean straight backbone of a Cafe Racer. 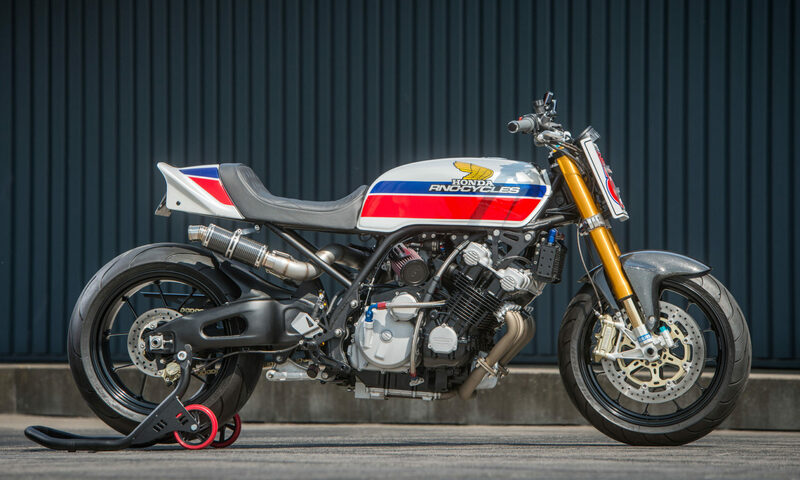 Moreover, the coolest thing ever (almost seems like it’s a tribute to Benelli Sei) – 6 into six classic exhaust. You have to see more photos of this thing (via the link below). It’s stunning. 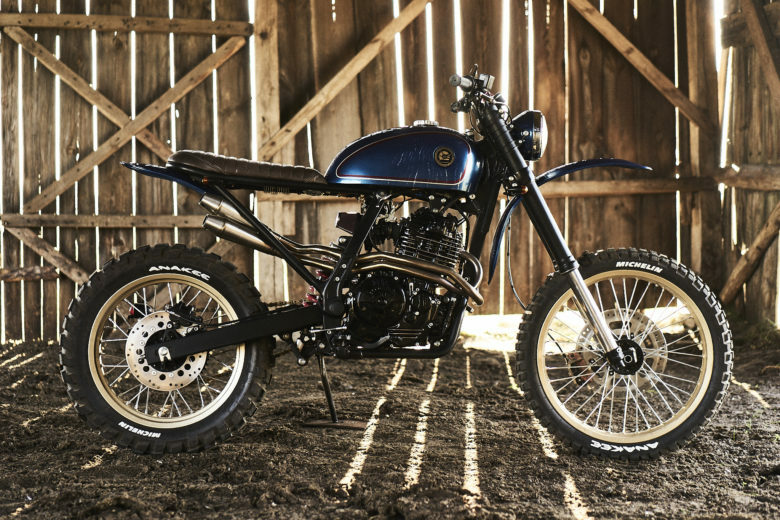 Also, a classic cafe racer inspired build, created by a garage that specializes in Harley’s. They got the donor bike as the client wanted to switch to a Milwaukee based brand. So Gietl Bikes decided to modify it. If it wasn’t for this massive powerplant under the tank – it almost looks like a definition of a segment – improved suspension, triangle under the seat cleaned up, characteristic tail and an (optional) mini fairing. On the performance part – upgraded suspension and modern wheels (GSX-R series was a swap donor here). 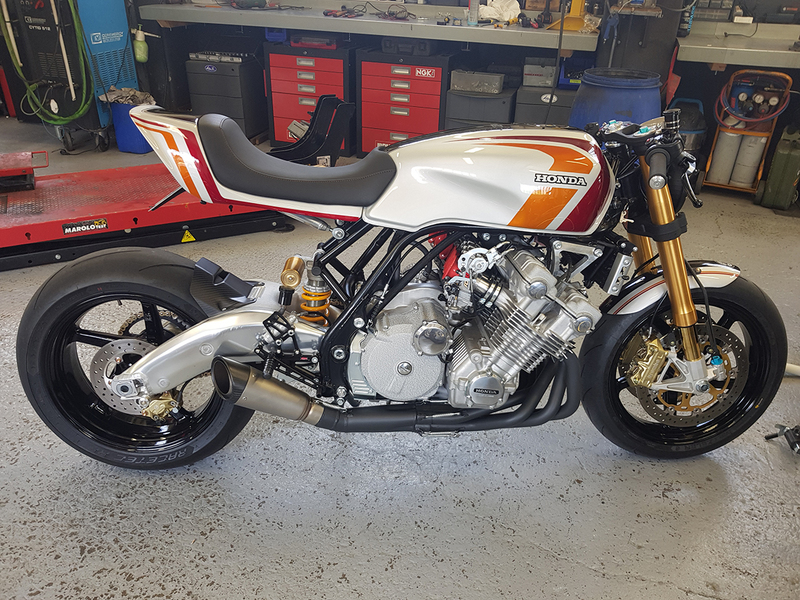 Beautiful exhaust… The result – big UJM, a clean and simple form of a Cafe Racer, with a retro vibe to it thanks to a lot of chrome. 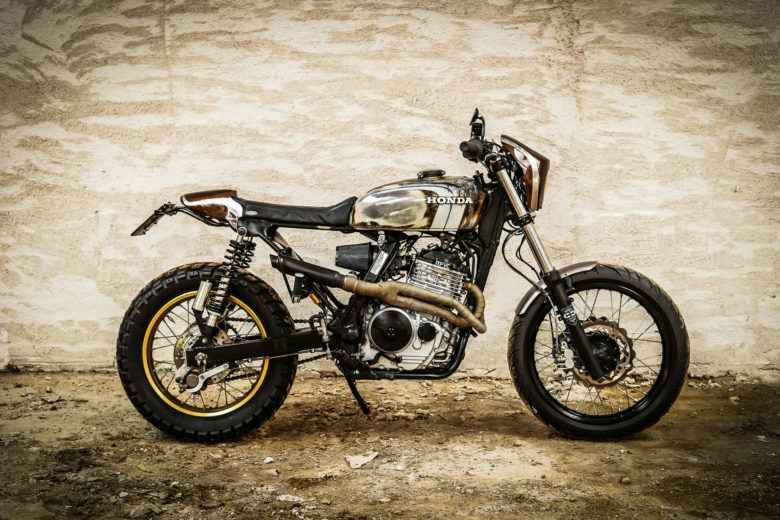 I would define this build as more contemporary approach than the number before — massive swingarm, modern suspension, flat slide bank of carburetors and a racing exhaust. The line of the seat is different – and the motorcycle is leaning forward a lot more, giving it a more muscular and aggressive stance. Regarding the philosophy – it is like it’s a predecessor. It is not sticking hard to its classic roots. The suspension comes from a modern performance machine: an Aprilia RSV Mille… The looks and paint job are quite contemporary. You can’t do better than this. Or maybe You can? 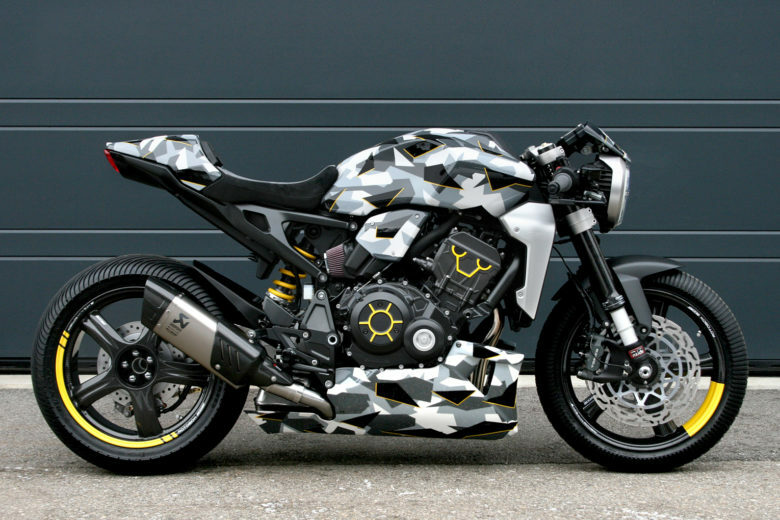 This thing is extreme – as someone decided that putting a turbocharger on an “inline six” motorcycle is a good idea. I agree as it only produces 105 bhp when stock – You need to boost it a little 😉 I love it. 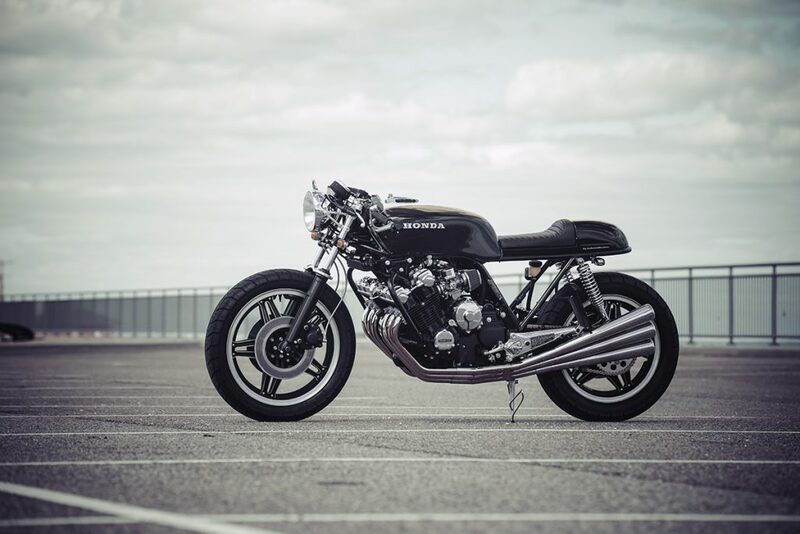 It would be merely brilliant if it were a regular CB750. 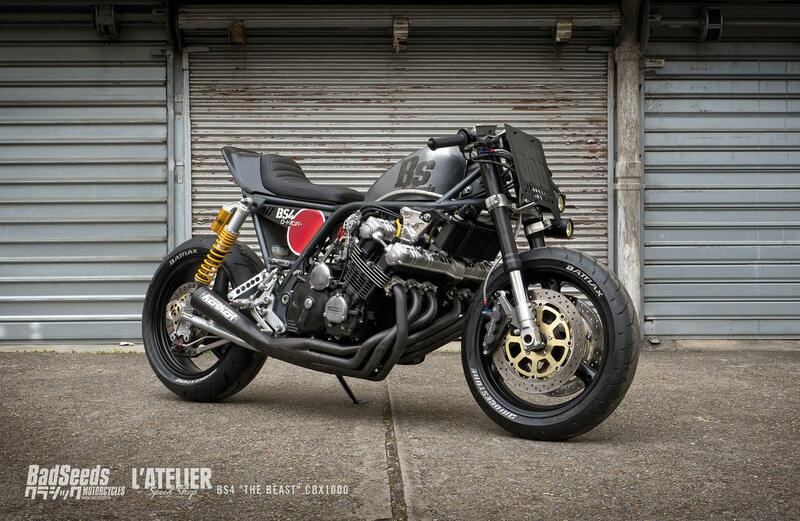 Having the CBX’s powerplant in it – makes it epic!